There is not much happening at the resort this month. It has been slow at work. 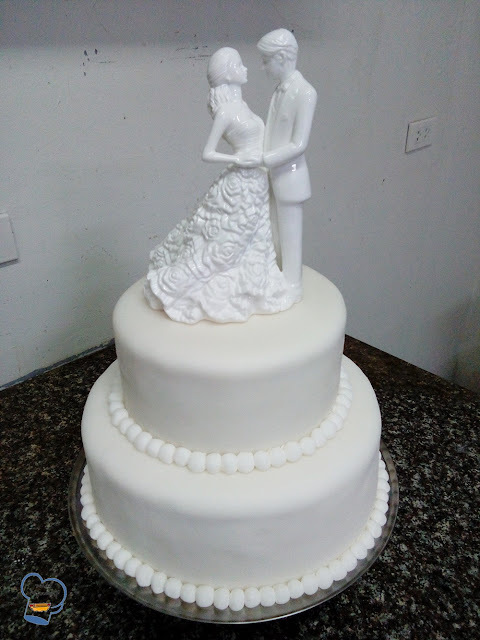 Just when I started getting bored and unmotivated, I received a request to make a two-tiered red velvet wedding cake. I was thrilled. It was not something new and different after having done it numerous times before but at least I got a break from my dull routine. It's all that mattered during a lazy week. Simple and easy. 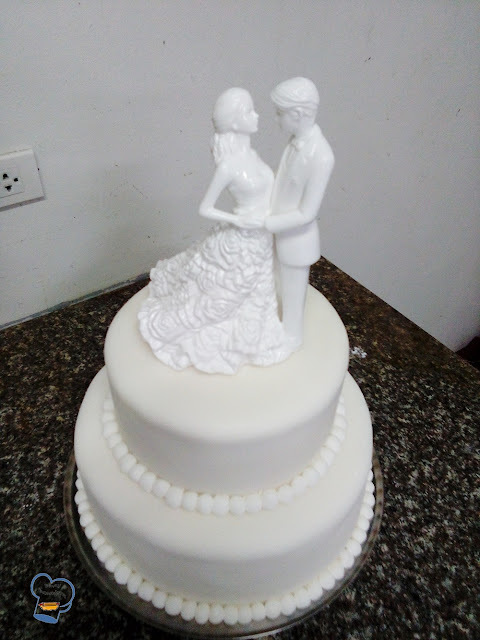 This red velvet cake was filled and frosted with classic vanilla butter cream and covered with fondant. Look how cute the cake topper is!